SpyShelter Premium is an effective anti-keylogging software providing Complete Privacy protection through integrated advanced defense modules. 2-Anti keylogger: it protects your personal data while typing against hackers. 3-Clipboard Protection: it protects your sensitive data in Windows clipboard as a result of copying, cutting, and pasting. 4-Screen Capture Protection: it immediately stop all suspicious screenshot capturing activities. 5-Webcam Protection: SpyShelter’s Webcam Protection module will keep your camera safe from Webcam loggers. 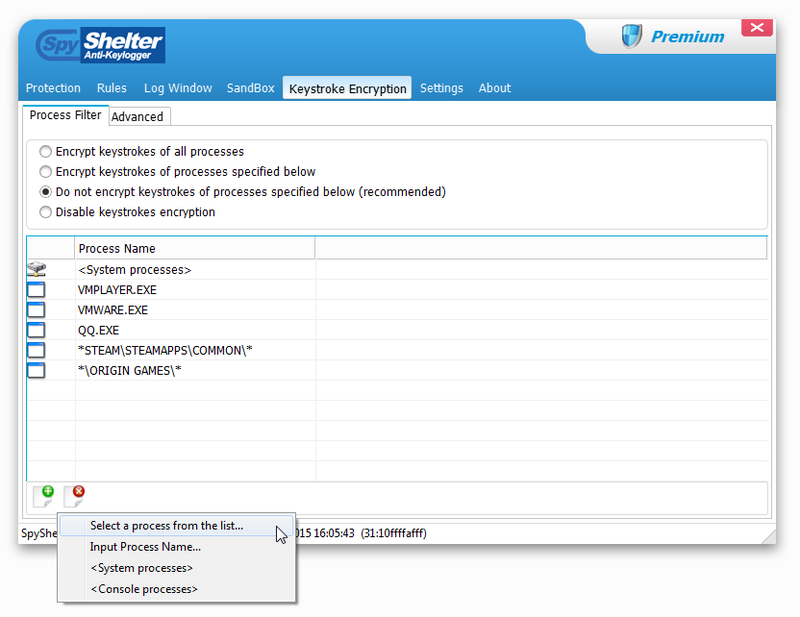 6-Keystroke Encryption: SpyShelter has an integrated keystroke encryption driver which encrypts all of your keystrokes in real time. 7-Sound Logger Protection: it protects your system against VOIP sound trojan loggers. 8-Internet Security: SpyShelter AntiNetworkSpy proactive module prevents dangerous trojans from stealing your private informations It also blocks HTTP/HTTPS trojans on user level as well as POP, SMTP, FTP, loggers. 9-Restricted Apps (Sandbox): it allows you to restrict access of chosen applications to system resources. 10-Jotti Scanner: SpyShelter allows you to perform a quick online scan at ViruScan.Jotti.org of any suspicious files using multiple antivirus programs at the same time, with just one mouse click.